Sarah Pfefferman (Amy Landecker) is getting married to Tammy (Melora Hardin) as the rest of the Pfeffermans assemble to celebrate the occasion, including Maura formerly Mort (Jeffrey Tambor), Josh (Jay Duplass), Ali (Gaby Hoffmann) and Shelly (Judith Light). The joyous day does not proceed as planned. The second season of Amazon’s Emmy-nominated series — starts streaming Friday ; a third season has already been ordered. “Sharply observed” was typical of the praise that creator Jill Soloway’s series picked up along the way last season, but sharply observing of what, exactly? Obviously, this: Of a man who was in reality a woman, and of her family’s attempt to absorb that complicated new reality. But Maura’s story was also set against a backdrop of assimilation — cultural and sexual — and the inexorable loss of identity in the process of assimilating. What made the Pfeffermans so interesting, relatable and sympathetic is that they were human puzzles even to themselves. Constantly trying to assemble and reassemble the pieces of their lives into a coherent whole, they managed to be funny and endearing. “Sure-footed” and “smart” were other plaudits — also deserved. Likewise, the second picks up with a wedding photo session that’s all yammer and staccato, and constant motion, as a photographer helplessly tries to herd the Pfeffermans into the picture frame. It’s a funny, seamless segue from the first season, but probably an illusory one too because “Transparent” is no longer as interested in trying to locate the comedy in these lives as the tragedy. The tonal shift is a huge one, and not necessarily a welcome one either. Why the shift? Because the new reality has in fact set in. Maura now has to live as Maura, but also assimilate her present with Mort’s past. Ali is exploring her own sexuality and also her family’s history, wherein lies a monstrous tragedy. In the midst of all this . . . Sarah is an emotional wreck, Josh is delusional, and Shelly oblivious. 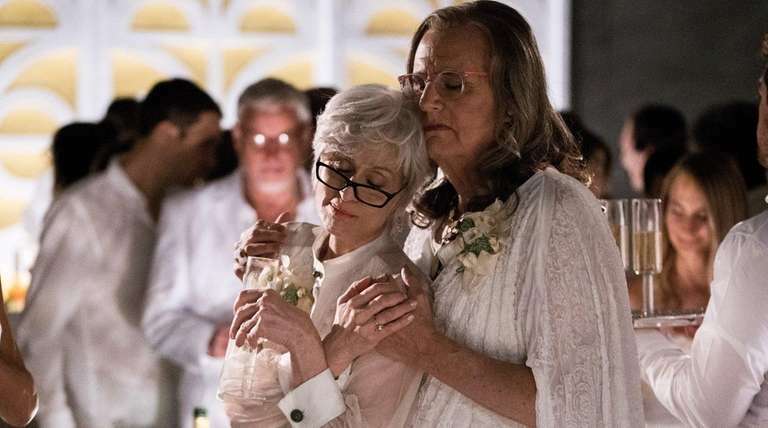 Sure, “Transparent” is still sharply observed, and it’s still easy to admire the actors, especially Hoffmann and Tambor. Just harder to love the show. Tambor and Hoffmann are still standouts, but their show is moving in a bleaker direction this season, at least through the first four episodes.